put. a. pin. on. it. - bitte.und.danke. put. a. pin. on. it. 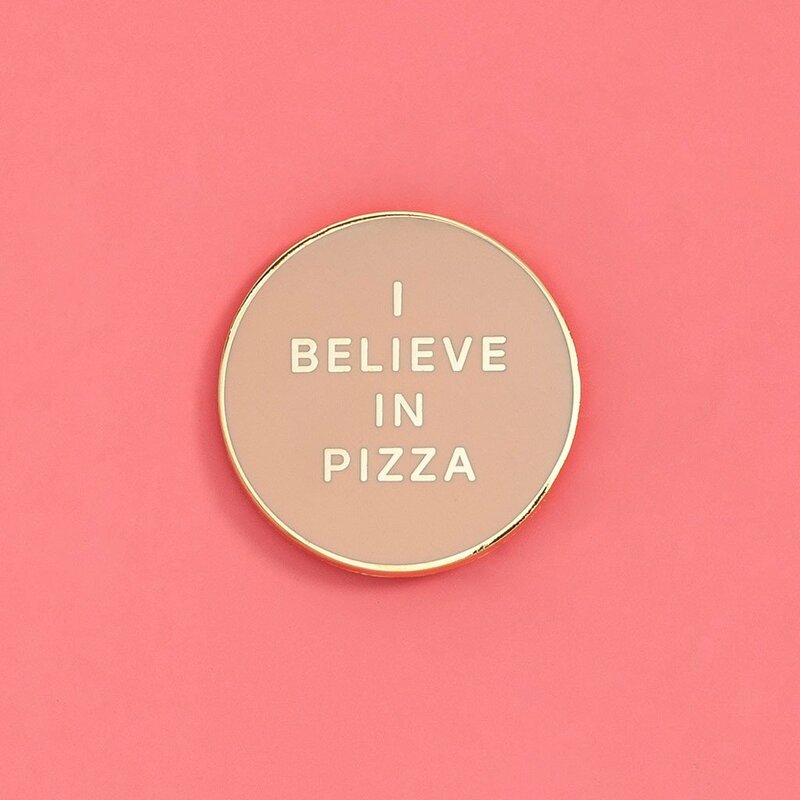 I don’t know about you, but I’m currently obsessed with decorative pins. Not only do they add instant flair to a cardigan, a sweater, a denim jacket — you name it — but they’re the epitome of FUN. I know at first glance, they can seem a bit out there (um, hello, you’re sporting a taco emoji pin on your t-shirt), but the personalization part is key. 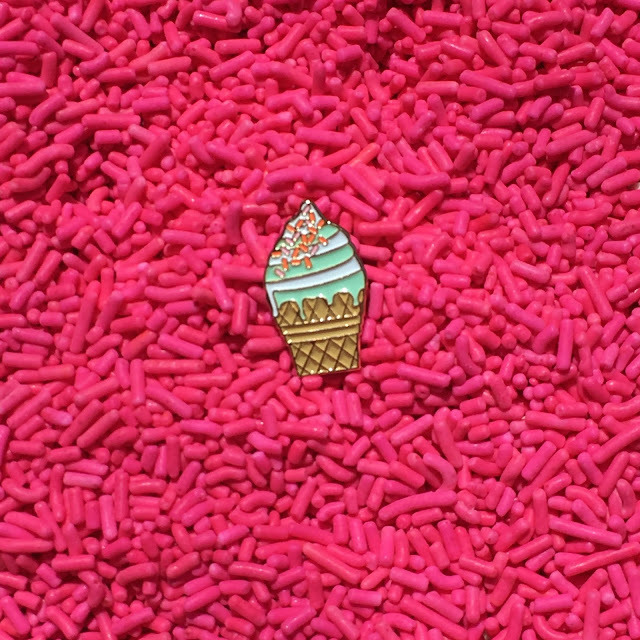 Find the right pins (think: a cactus, a donut, your favorite emoji, whatever), then you can’t lose. 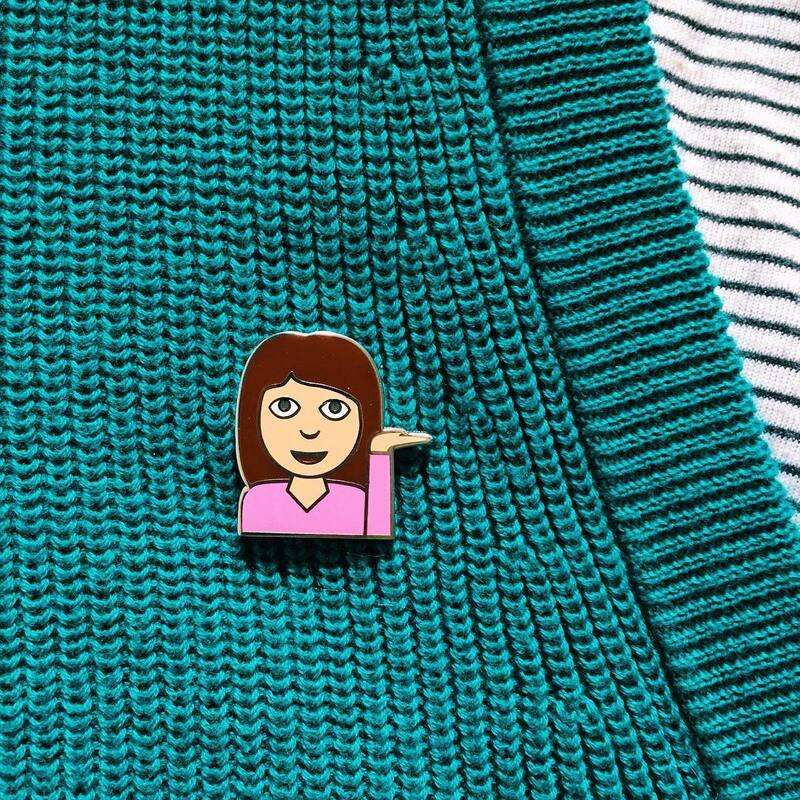 See my first attempt above: I paired my favorite sassy girl emoji pin (AKA, info desk girl) with a teal cardigan for an extra playful touch. 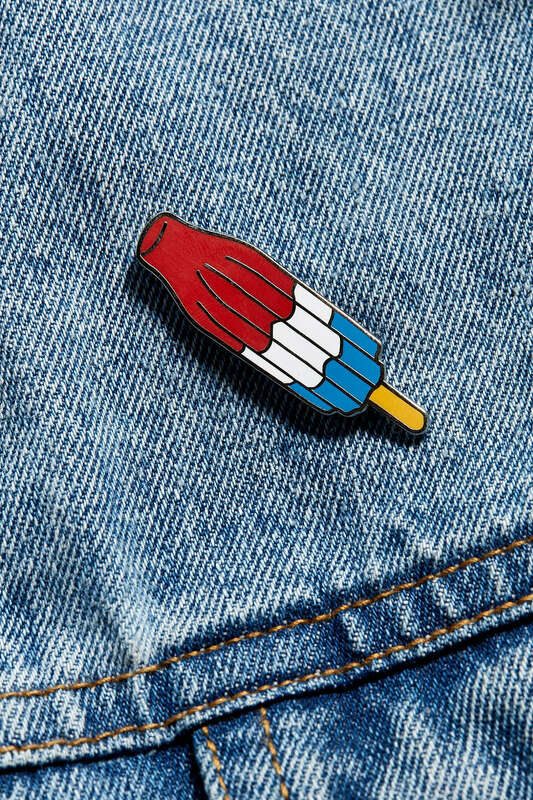 Now, I just need to invest in a denim jacket, so that I can take my current pin obsession to the next level. I’ve rounded up some of my favorite pins below — let me know your faves in the comments section! 1. Lolli x Museum of Ice Cream Lapel Pin (Lolli) // A testament of your love for ice cream. Is it summer yet? 2. 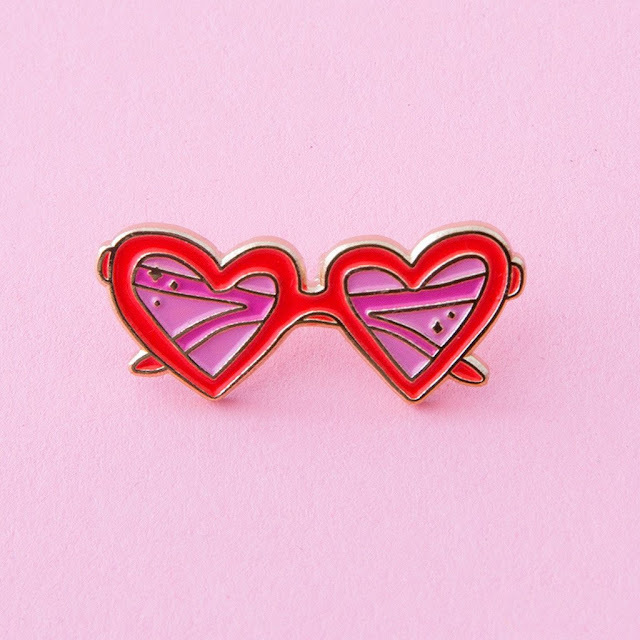 Little Arrow Heart Sunnies Pin (ban.do) // So. Much. Sass. How adorable would these red heart-shaped sunnies look pinned to a cardigan (or the lapel of a herringbone blazer) come Valentine’s Day? 3. 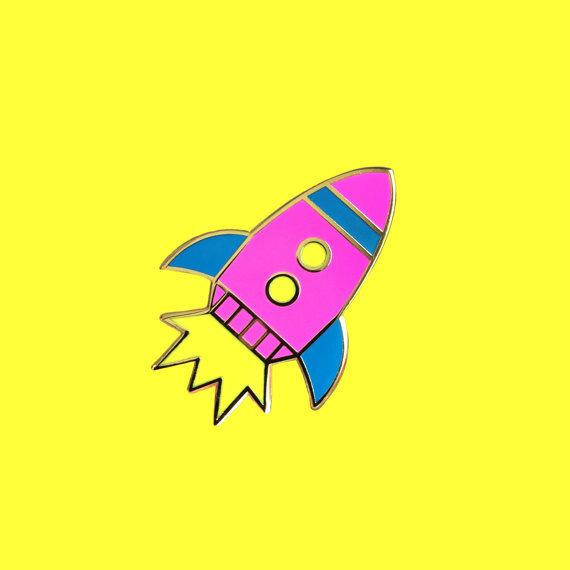 Logo G-Pin (Glossier) // Glossier babes unite with this logo G pin that’s in millennial pink, no less. Do one even better by teaming it with your signature Glossier sweatshirt. 4. I Believe in Pizza Pin (ban.do) // Because pizza is bae. Duh. 5. 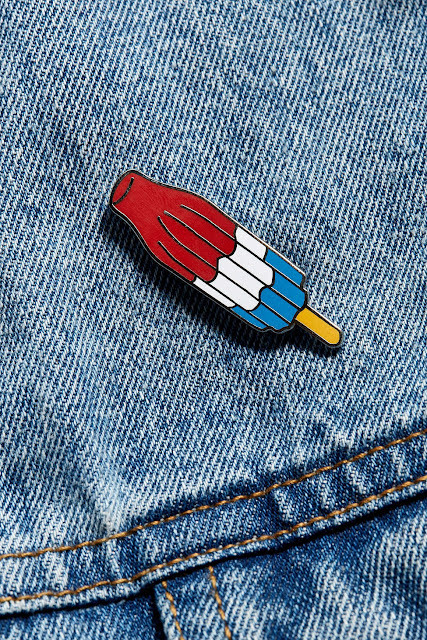 Valley Cruise Press Ice Pop Pin (Urban Outfitters) // It’s bomb pop o’clock. Cue the firecrackers and RWB this Fourth of July. 6. 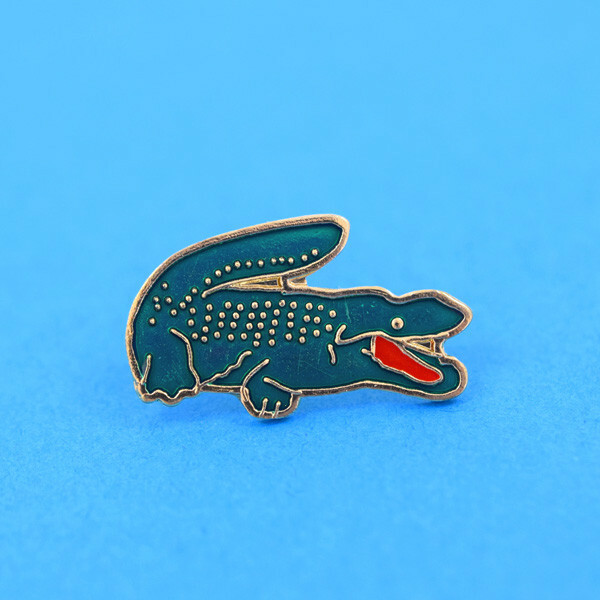 Vintage Gator Pin (Valley Cruise Press) // Equal parts retro and preppy, this green gator pin practically calls for a relaxed polo, a vintage cricket sweater and some rolled-up chinos. Any takers? 7. Pink Lemonade Pin (Big Bud Press) // When life gives you lemons, you make pink lemonade. 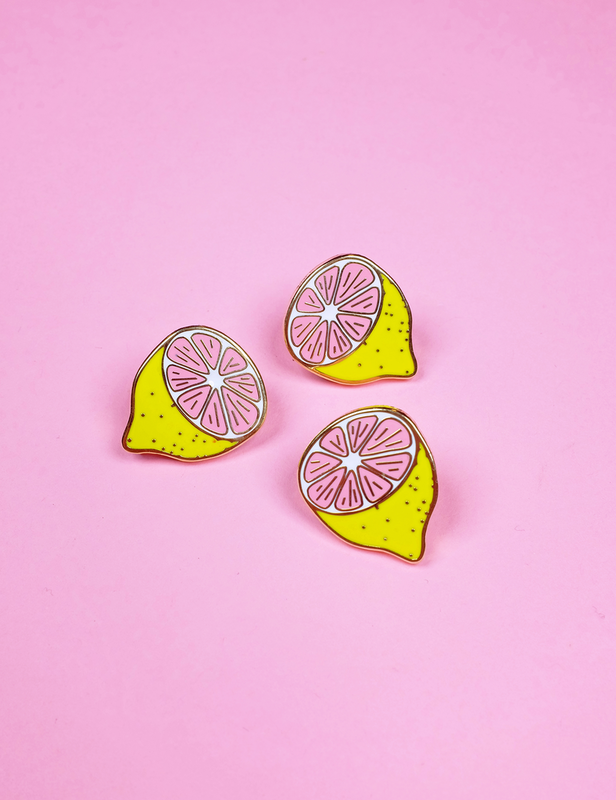 For double (or rather triple) the punch, mix and match with Big Bud Press’ lemon and lime pins. 8. 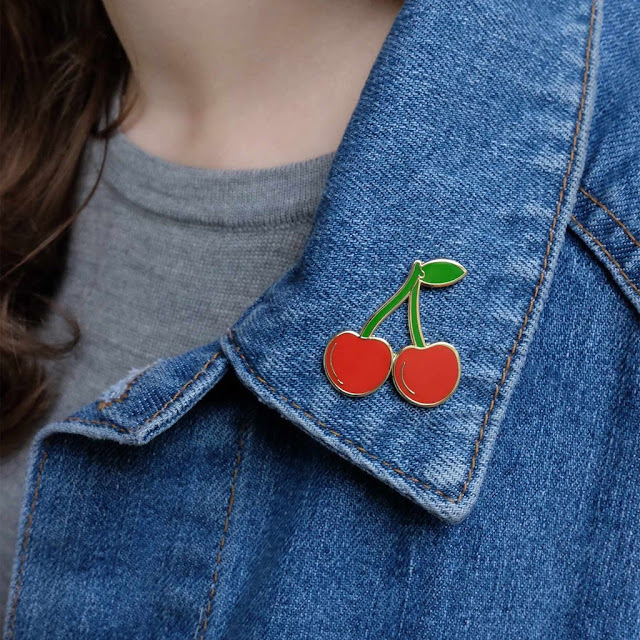 Cherries Lapel Pin (Georgia Perry) // A cheeky addition to your borrowed-from-the-boys denim jacket or even the collar of a crisp white button-down shirt. 9. 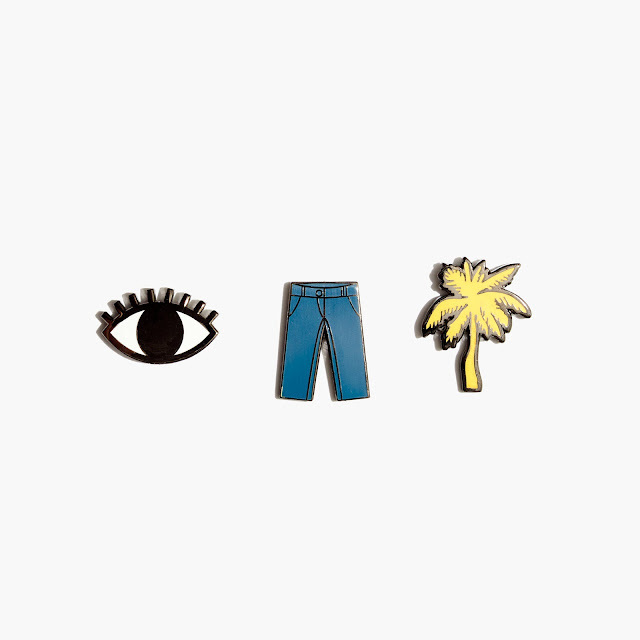 Madewell x Pintrill Pin Set (Madewell) // True denim connoisseurs will flock to this exclusive Madewell x Pintrill pin set consisting of an evil eye, jeans and a palm tree. Use all three to deck out a denim jacket, a tote or perhaps your favorite boyfriend jeans. How will you be customizing your denim and accessories this season? Let me know in the comments below!